Prince Mashele is a Senior Research Fellow at GovInn. 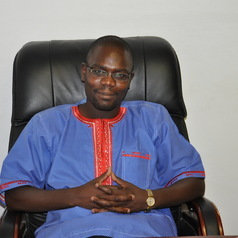 Previously he served as Executive Director of the Centre for Politics and Research. Mashele also lectured in the Department of Political Sciences at the University of Pretoria. He was also a political analyst for Nedbank Capital, until March 2015. Mashele had a stint as a speechwriter in The Presidency under former President Thabo Mbeki. He is a prolific writer and commentator on diverse subjects related to his training as a political scientist. He is the author of The Death of our Society and co-author of The Fall of the ANC: What Next? The latter book was a best seller in South Africa in 2014. Mashele holds a Master’s degree in Political Science from Rhodes University.